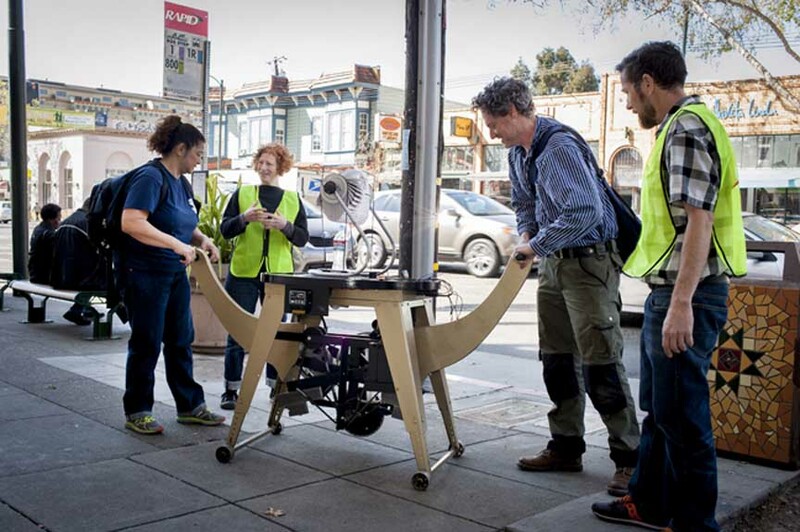 Power Call is a nomadic, interactive energy commons in San Francisco to the Bay Area. Using low-tech systems, Power Call harnesses, stores and dispenses energy for recharging a variety of cell phones. Anyone can contribute to the energy commons by spending a few minutes pumping the machine, creating a charge for yourself or a future person in need. The amount of energy generated will be relatively small, enough to make a meaningful last phone call or text message. In exchange for participation, the initiators ask that users share their story on a rotating public message board, which answer these questions: who would you call if you had only this one last call? What would you say? 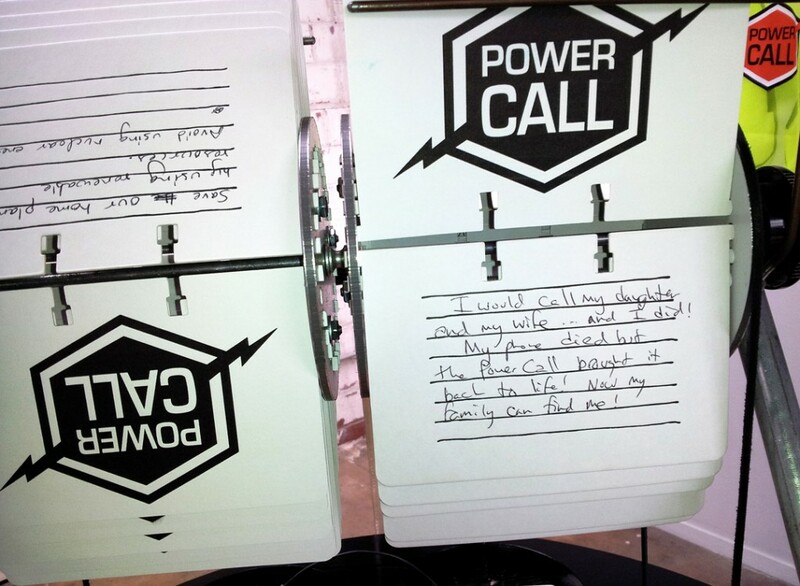 Power Call relies on good will to generate energy while simultaneously diffusing the anonymity of people in public spaces. In order for the energy commons to function, passers-by engage in an unusual and collaborative experience. The project creatively brings together contemporary issues around hand held technology and social spaces, environmental concerns about a need for alternative energy sources, and anxiety over natural disasters and a potential state of emergency, where figuring out ways to work together to share resources is going to be necessary. Any pedestrian: Power Call has traveled around the neighborhood to the library, transit hubs, cafes and small businesses.